India may not yet be a big destination for wine tours, but the wineries in the Nashik region of Maharashtra are certainly becoming popular for weekend breaks, between December and March every year. While about a half of India's wineries are located near Nashik, other regions with smaller wineries include Baramati and Sangli. Many people are going on wine tours to Nasik because they want to do something different from the usual weekend breaks. They end up enjoying the relaxing experience which is perfect for families and friends to spend time with good food and wine. The socialising aspect is as much part of the wine tour as is wine tasting. Most of these customers may not be regular wine drinkers but are looking for a new experience. Besides weekend groups, there are also serious overseas travellers who are keen on following the wine trails in India. This group is well-travelled around international wine circuits and have a good understanding of wine. They are here to taste Indian wine after having tasted wine from established regions around the world for years. Besides wine tasting, the vineyards offer a relaxed ambience and an opportunity to meet the winemakers and understand the process of wine making. In addition, tourists also buy wine at discounts at wineries and pick up merchandise at the wine stores. Wine tourism is the new buzzword in Nasik, around four hours from Mumbai. There are now almost 50 wineries in and around Nasik, and excitingly for wine connoisseurs and consumers, many Nasik vineyards now have tasting rooms that are open to the public. What is also appealing is that discounts of 10-20% on retail price are available on purchases. The vineyards fan out in all directions from Nasik. Sula is perhaps India's most popular and most accessible winery. Sula organises combining wine with music at Sulafest, held there in February/March every year. Sula also offers a one day wine appreciation course every Thursday. Wines: Sauvignon Blanc, Chenin Blanc, Rose, Sparkling Brut, Viognier, Reisling, Shiraz, Merlot, Zinfandel, Cabernet Sauvignon. Significant effort is being put into developing the 400 acres of vineyards as a tourist destination, with three artificial lakes for boating and other water sports, luxury farmhouse accommodation and ambient wine tasting lounge. The winery's state-of-the-art technology is also worth seeing. Wines: Sauvignon Blanc, Rose, Merlot, Syrah, Cabernet Sauvignon. 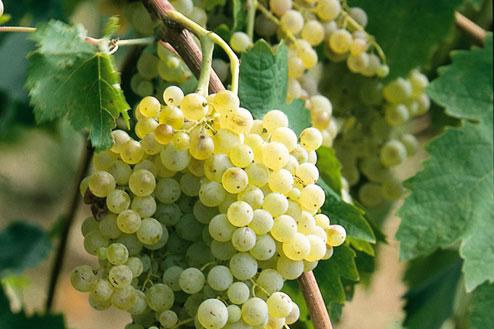 Vintage Wines has become the first winery in India to produce wines from Italian grapes. Wines: Sauvignon Blanc, Chenin Blanc, Syrah, Chardonnay, Cabernet sauvignon. The attractive thing about this resort is that it has a tasting lounge bar and offers a wide range of wines at very reasonable prices. It is worth a visit for tourists seeking quality wines. The vineyard talks about the ancient links to India�s wine culture � Ayurvedic. Thousands of years ago, wine was made and enjoyed in India for health purposes. It still is. The resort offers a vinotherapy spa and has ISO 9001-2000 certification Kerala Vaidyashala. Wines: Chenin Blanc, Sauvignon Blanc, Chardonnay, Chardonnay Semillon, Merlot, Shiraz, Cabernet Sauvignon, Merlot/Shiraz (double varietal), white Zinfandel (rose). This winery had its first crush in 2005. Since then it has gone on to produce some quality wines, albeit in small quantities. The owners are keen on the idea of wine tourism and are in the process of developing a restaurant and accommodation on the vineyard. Wines: Sauvignon Blanc, Chenin Blanc, Rose, Shiraz-Cabernet. With its ambient modern setting, with sunny courtyards and patios, this vineyard is a relaxing place to break the journey. Additionally, the winery's premium Zampa wine brand is becoming recognized as one of the best in India. There are also plans to build accommodation on the vineyard. Wines: Chenin Blanc, Sauvignon Blanc, Cabernet Sauvignon, Shiraz, Sparkling Rose and Brut.